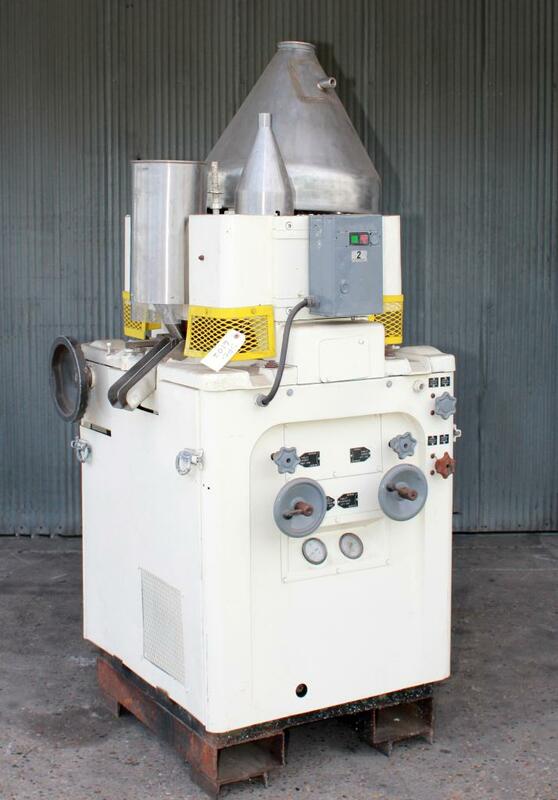 Stokes 33 station model 328-1 rotary tablet press. This is a rotary high speed tablet compressing machine. Tablet press has a 10 ton compression force, a 1-1/16” maximum tablet diameter, and a 1-3/8” maximum depth of fill. The press is rated 1200 up to 3300 tablets/minute. Driven by a 7.5 hp 1800 rpm motor. Serial number T-664172. Press comes with many different die change parts. Requires 460 vac 3 phase electrical supply. 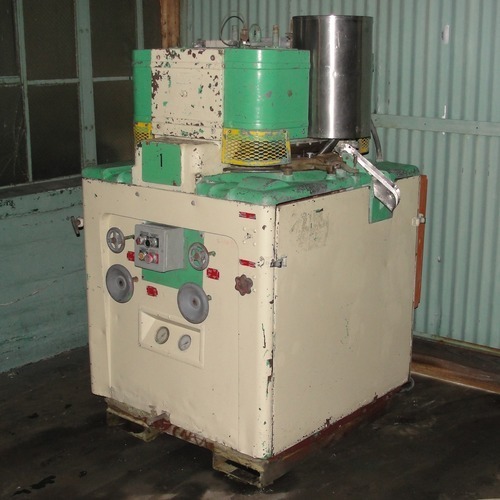 Stokes 51 station model 551-1 rotary tablet press. This is a double rotary high speed tablet compressing machine. Tablet press has a 4 ton compression force, a 7/16″ maximum tablet diameter, and a 11/16″ maximum depth of fill. The press is rated 1250 up to 3750 tablets/minute. Driven by a 3 hp 1800 rpm motor. Requires 220/440 vac 3 phase electrical supply. 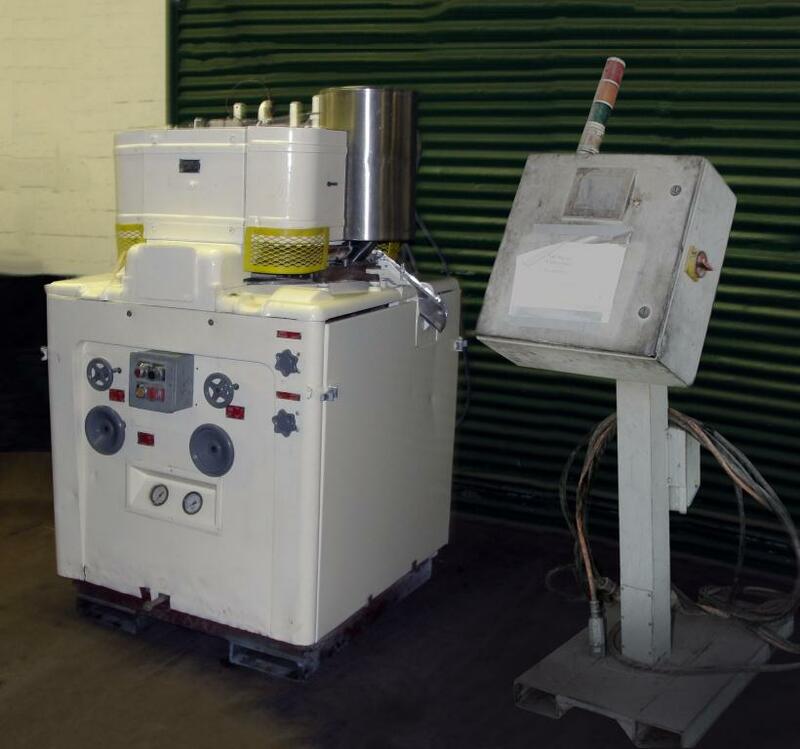 Stokes 33 station model 328-1 rotary tablet press. This is a rotary high speed tablet compressing machine. Tablet press has a 10 ton compression force, a 1-1/16″ maximum tablet diameter, and a 1-3/8″ maximum depth of fill. The press is rated 1200 up to 3300 tablets/minute. Driven by a 7.5 hp 1800 rpm motor. Serial number T-664172. Press comes with many different die change parts. 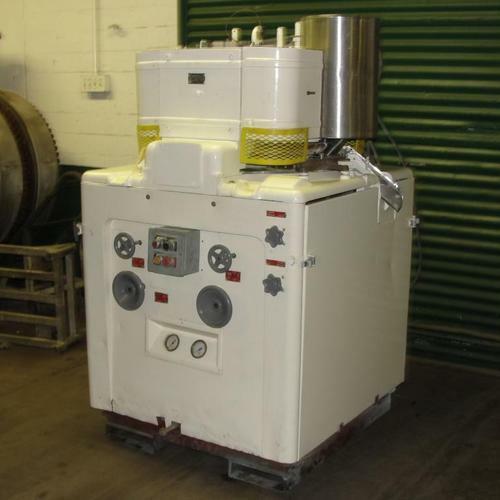 Requires 460 vac 3 phase electrical supply.